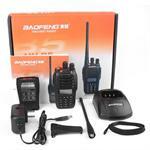 UV-5R 4-Watt DUAL-BAND TWO-WAY RADIO from Baofeng ! Lanyard, Earphone/Mic, Power Supply, DC Cord for Charger, Maunal. 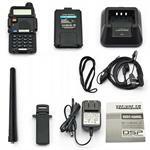 Available separately: PTT Mic; PC Interface Cable, Batteries, Battery Cases. swing Mic, spring-loaded belt clip. ACCESSORIES AVAILABLE AT DISCOUNT PRICING WHEN YOU BUY RADIO ! Click BUY to view. 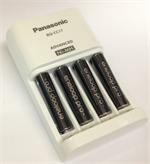 BQ-CC17 : Panasonic brand Smart Charger for AA & AAA NiMH batteries. Charges 1, 2, 3, or 4 cells at a time. 4-CHANNEL CHARGER ; each cell is charged separately. Has LED status indicator lights. Plugs onto 100-240VAC wall outlets. Has auto shut-off ! 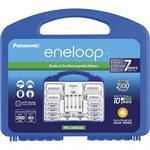 SANYO brand Charger for eneloop NiMH AA and AAA cells. Plugs into wall; charges up to 4 battery cells in 4 - 6 hrs. WORLDWIDE AC input (100-240VAC). Has flip-out prongs on back, to plug right into wall outlet. Fast, smart, automatic shut off. 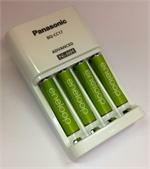 BQ-CC17-AAA800‏ : VALUE PACKAGE - Smart Charger & 4 x AAA 800mAh eneloop READY-TO-USE rechargeable NiMH batteries. Battery cells arrive PRE-CHARGED, and they RETAIN THEIR CHARGE when not in use. The BQ-CC17 wall charger has flip-out prongs on back. Green Laser, 5mW max output, 532nm. Staight beam, and also includes 5 different kaleidoscope heads, for pattern effects. Also includes batteries (2 x AAA alkaline) and gift box. 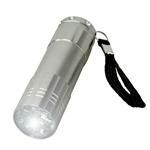 10W Flashlight - heavy-duty construction, with high-intensity long-life LED. 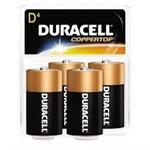 Runs on 3 x "C" alkaline batteries (sold separately). 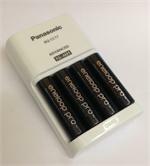 BQ-CC17-AAA950‏ : VALUE PACKAGE - Smart Charger & 4 x AAA 950mAh eneloop pro READY-TO-USE rechargeable NiMH batteries. Battery cells arrive PRE-CHARGED, and they RETAIN THEIR CHARGE when not in use. The BQ-CC17 wall charger has flip-out prongs on back. 1300 lumen LED flashlight; Duracell brand product. Heavy-duty, impact-resistant alloy. Has 3 modes: high, low, strobe (push button on back end to change mode). 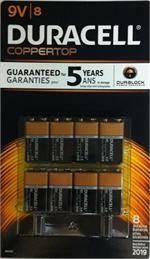 Runs on & includes 4 x "C" Duracell alkaline batteries. Has adjustable Focusing/Spread beam. 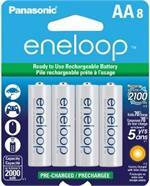 Eneloop Battery & Charger Kit: Includes 8xAA pre-charged batteries, 4xAA pre-charged batteries, Wall Charger, 2xC spacers (holds 1xAA), 2xD spacers (holds 1xAA), carrying case. 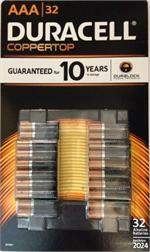 DRINVPS175C : Duracell-brand 175W power inverter. Plugs directly into your vehicle's cigarette lighter or 12VDC socket with 3-ft cable. 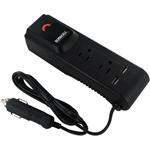 Has 2 grounded 3-prong 115VAC power outlets, as well as 2 USB2.0 outlets (2.1 Amps each). Provides up to 175 watts. 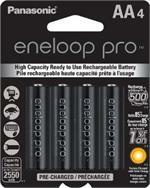 BQ-CC17-AA2550 : VALUE PACKAGE - Smart Charger & 4 x AA 2550mAh eneloop pro READY-TO-USE rechargeable NiMH batteries. Battery cells arrive pre-charged, and they RETAIN THEIR CHARGE when not in use. Charger has 4 separate charging channels. Programmable Scrolling LED badge. Choose RED, BLUE, GREEN, or YELLOW LED. PC-link for programmimg! UV-5R radio package Includes UV-5R dual-band radio, antenna, lanyard, battery, charger, 12VDC power cord, ear wrap & mic, and belt clip. Brand new, & SUPER VALUE ! 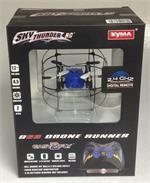 SYMA D63 Drone RUnner: Micro Quad Copter package. Includes Micro Quad (6 Axis Gyro), Battery, Charger, Controller, Instructions. Ready to fly! 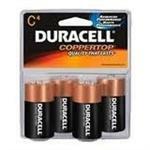 Duracell "C" cells - 4 pcs Alkaline 1.5V battery cells, factory fresh & ready to use. X-ref part #s MN1400, LR14. Programmable Scrolling LED badge. Available in RED LED. Program messages by Pushbuttons on back. Stores up to 6 messages! EC2AA : Emergency USB charger with built-in LED flashlight. cellphones, digital cameras, MP3, GPS, etc. Solar Rechargeable Power Bank, with 10,000mAh Li-Polymer battery inside. Brand new Ni-MH formulation - 1.2 volt 2000mAh capacity. AND CAN BE RECHARGED IN Ni-MH CHARGERS ! 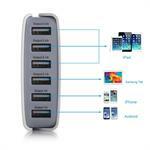 Super Multi-Channel Smart Charger for up to 8 pcs AA or AAA Ni-MH cells. List $49.95. Has 8 separate charging channels. Charges 1, 2, 3, 4, 5, 6, 7 or 8 cells simultaneously - AA or AAA. Runs on AC or DC power. Worldwide wall AC-DC Power Supply included. 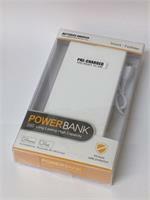 Includes 12VDC power cable, so you can charge your batteries on-the-go! Charges FAST & SMART (charge rate = 700mA/hr per channel). Smart-charges typical Ni-MH AA cells in 3 hours, with automatic shut-off. Smart-charges Ni-MH AAA cells in about 1 hour, with automatic shut-off. 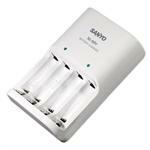 ULTRA FAST 1 hour Smart Charger for up to 4 pcs AA or AAA Ni-MH batteries. List Price $34.95. Charges 1, 2, 3, or 4 cells simultaneously. Runs on AC or DC power. Worldwide wall AC-DC Power Supply included (UL listed! ), as well as 12VDC lighter cord. Charges AA cells @ 2A/hr per channel. Charges AAA cells @ 850mA/hr per channel. Smart-charges typical Ni-MH AA cells in 2 hours; uses automatic Peak Detect Method. Smart-charges Ni-MH AAA cells in about 1 hour; uses automatic Peak Detect Method. for AA & AAA Ni-MH and Ni-Cd batteries. 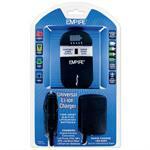 Operates at home from wall outlet, AND from 12-volt DC lighter socket, for charging on the go. (click on picture for more info. AND DO IT FOR ABOUT $ 25 dollars !! Program your own SCROLLING message from your Computer in SECONDS ! Stores up to 20 different messages. Up to 256 characters on each message! Has 5 different selectable Speeds. Has 2 different selectable Brightness levels. You can also program your message via push-buttons on back side. Has built-in mini-USB-type connector port for interface with Computer.